If you think running a restaurant in Yellowstone National Park is like operating an eatery anywhere else, allow Mike Dean to set the record straight. “You can’t just run down the street to the grocery store if you run out of butter,” quips the executive chef for the park’s 13 eateries. And even if you could, it’d be a herculean task. Last year, the park’s 4 million-plus visitors consumed 232,120 hamburgers, 69,580 pounds of scrambled eggs and 56,209 gallons of ice cream, among other fare. Dean, who started as a seasonal dishwasher at Yellowstone in 1986, has been executive chef for Yellowstone National Park Lodges for the past two years. The job puts him in charge of creating menus, overseeing staff training and purchasing supplies for the park’s seven full-service dining rooms, three cafeterias, three snack shops/burger spots and assorted bars and lounges, plus eight dining rooms and five pubs reserved for Yellowstone employees. 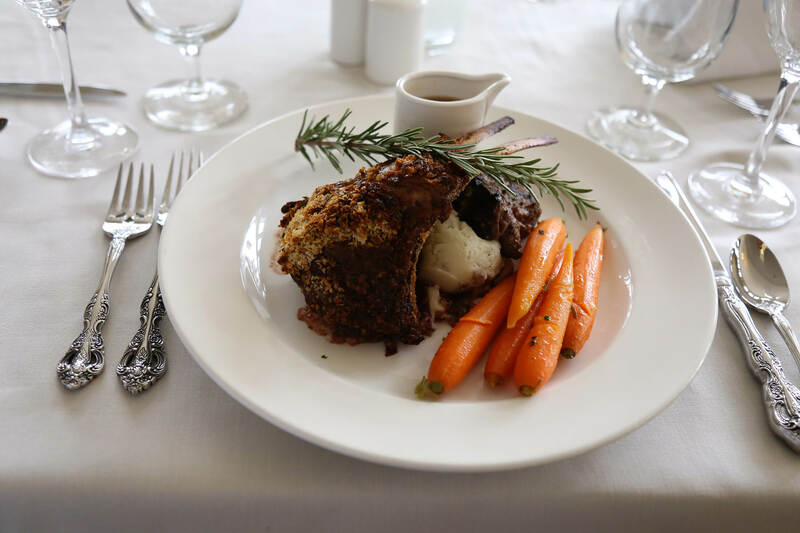 The park’s bounty of dining options ranges from white tablecloth service in the elegant Lake Hotel Dining Room to grab-and-go deli fare, such as at the Lake Hotel Deli. Menus differ at various restaurants and are crafted to reflect the character of the venues. The National Park Service mandates that basic choices, like beef, chicken, pasta and vegetarian options, be offered. But, “we want to offer variety to guests who might be staying at different lodgings,” Dean says. For instance, grilled steaks are popular at Roosevelt Lodge & Cabins, an attractive family option with an Old West vibe. In the higher-end Lake Hotel Dining Room, the grilled elk chop with juniper huckleberry demi-glace draws raves. In fact, any dish incorporating huckleberries is a guaranteed winner, Dean notes. The impossible-to-cultivate berry grows wild in the region and must be harvested by hand. You can savor its sweet/tart flavor in pancake syrup on breakfast tables throughout the park; in the smoked half chicken with huckleberry-chipotle barbecue sauce at Roosevelt Lodge; in the white chocolate and huckleberry cheesecake at Old Faithful Snow Lodge; and in the huckleberry crème brûlée in the Grant Village Dining Room. A best-selling ice cream flavor in the park: huckleberry, made by Big Dipper Ice Cream, a homegrown Montana enterprise. Big Dipper isn’t the only local supplier of ingredients to the park’s eateries. Xanterra Travel Collection, which operates restaurants and lodgings in Yellowstone, contracts with many local ranchers, farmers and other nearby food purveyors in a quest to provide fresh, sustainable fare and support local enterprises. Some examples: The New York strip steak on the menu at Lake Hotel comes from grass-fed cattle raised just 75 miles away in Cody, Wyo. A goat farm in nearby Belgrade, Mont., provides cheeses. A producer just outside the park supplies the trout fillets served at Old Faithful Snow Lodge. And the fall-off-the-bone-tender bison short ribs served at Old Faithful Snow Lodge are braised in locally brewed Moose Drool Ale. As Yellowstone’s bustling summer season winds down in October, Dean is heading to the Montana Food Show in Bozeman, in search of new locally sourced products. Watch for them on menus next year. Looking to experience the many flavors of Yellowstone? Learn more about the many dining options. 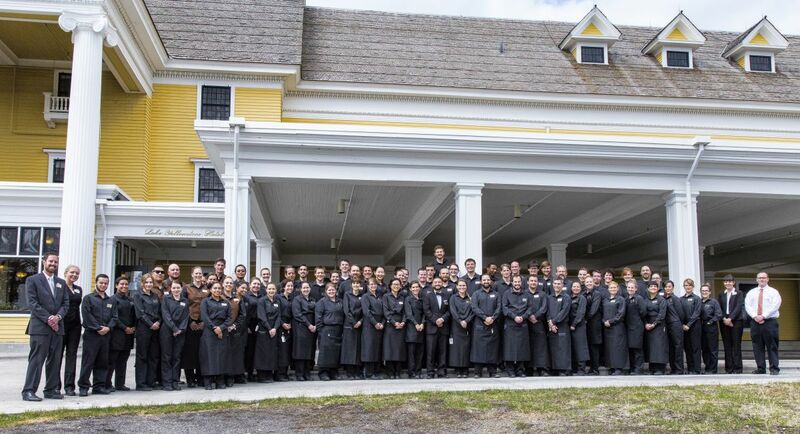 Want to join our culinary team? Learn more about working in Yellowstone.